Massages are supposed to be relaxing, not deadly. The subplot involving Kate’s family was thought provoking. Not only did the ways in which she communicated with her wife and adult children give me valuable insight into her personality, it also fit in nicely with everything else that was going on in the plot. I especially enjoyed seeing how Kate reacted to conflict at home versus how she responded when something was hard to figure out in her case. There were times when I had trouble keeping track of all of the characters because there were so many of them. This was something I especially noticed with characters who were only loosely connected to Kate or to the case she was trying to solve. They were mentioned so infrequently that it was easy for me to mix up their occupations and backstories. It would have been helpful to have fewer non-essential people to remember as I was trying to figure out what happened. With that being said, the mystery itself was well done. The clues about what killed Kate’s client were shared regularly enough to keep me guessing just when I’d come up with yet another theory about who might have been responsible for it. I also liked seeing how the protagonist responded to the clues. She was intensely focused on solving this crime, and that made me more eager than ever to piece everything together before she did. 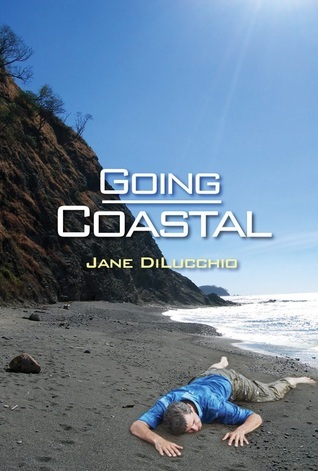 Give Going Coastal a try if you’re in the mood for a mystery that isn’t easy to unravel.